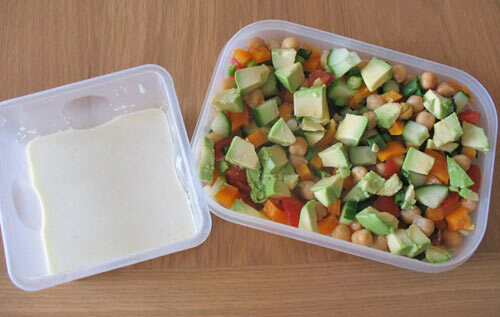 This is quick and healthy meal which you can eat for lunch at work or as a light dinner. 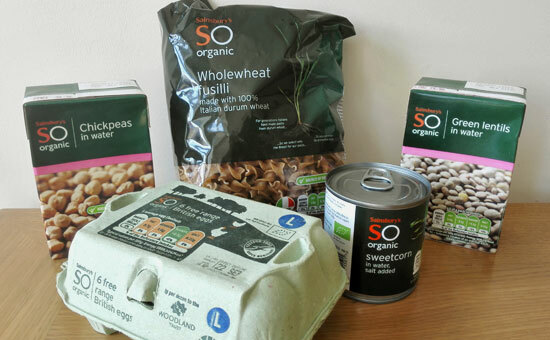 An inspiration for this meal comes from this website and I tend to make different versions of this chickpea salad every week depending on what I have in the fridge. I vary the vegetables I put in, but I always use garlicky yoghurt sauce with it as it just makes it really delicious. When I take it to work I always use two separate containers and mix the salad and the sauce just before I eat it. It’s better to do it this way otherwise it will turn funny, kind of watery (salt will draw water out of cucumbers). Drain chickpeas and put them into your lunch container or on a deep plate. Add all the chopped vegetables and mix all together. Prepare the garlicky yoghurt sauce: in a separate container mix garlic, yoghurt, olive oil, lemon juice and salt. If you take it to work make sure all the containers are tightly closed so they don't leak! This is going on my meal plan for next week 🙂 I always make versions of chickpea salads for lunch- super easy. That’s good to hear! 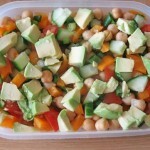 Yes, I agree – chickpea salads are so easy and quick to make and quite nutritious as well. Thanks for stopping by! To avoid avocado getting brown you can try and drizzle it with some lemon juice. Also, make sure your salad container is airtight. 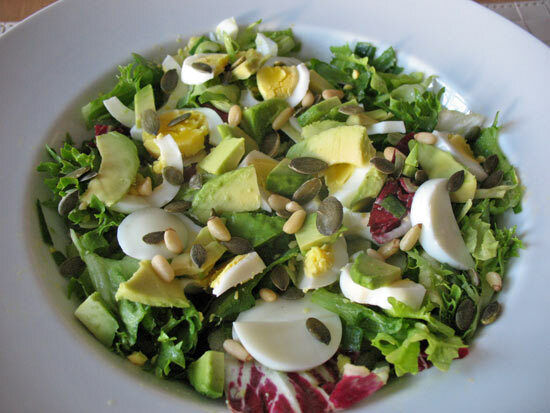 The best is to make this salad in the evening and eat it the next day lunchtime, like this it shouldn’t get brown.